Security lighting is a vital deterrent to theft and vandalism. Police reports confirm that well illuminated homes and businesses are less likely to be a victim of robbery or vandalism. We can design a secure layout using specialty lighting controlled by timers, lighting contactor, control panel, motion sensors, photocells for dusk to dawn operation, dimmers, switches or just using your smart phone. 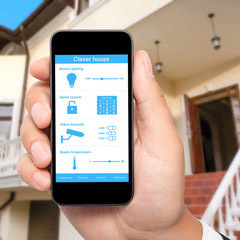 Whether you are looking to showcase your property, highlight focal points or add security with motion detectors and dusk to dawn lighting, callElectrical Duties, we provide and install it all. We can help you through the entire process. We’re familiar with the best brands and models for home or business security lighting and have experience installing all of them.